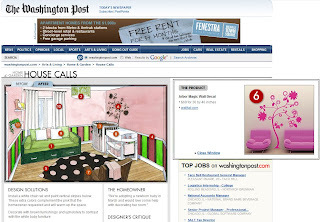 The Washington Post takes on design requests from its audience and features them in "House Calls" in the Home & Garden section. In the March 12, 2009 issue Ed Rudock of Spacelift Staging and Interior (re)Design takes on the challenge of a homeowner that is adopting a newborn baby and would "love some help with decorating her [nursery]." "The furniture arrangement started with the crib, which is the focal point," says Ed. 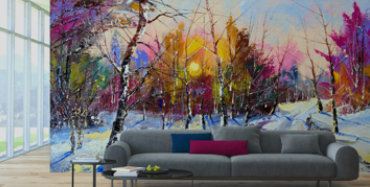 He added to this focal point the Arbor Magic Wall Decal from the WALLTAT nature collection to really drive home the point. For more on this project including before and after pictures, visit the Washington Post article.